With the Challenge Cup kicking off tomorrow Football Palestine previews how Jamal Mahmoud's team will lineup. By far the most pressing issue for Palestine going forward is the shortage of defenders available to the team. Established names such as Majed Abusidu, Abdelatif Bahdari, Roberto Bishara, and Omar Jarun miss out because their clubs are not required to release them for the non-FIFA sanctioned Challenge Cup (despite the competition being akin to Asian Cup Qualifying). 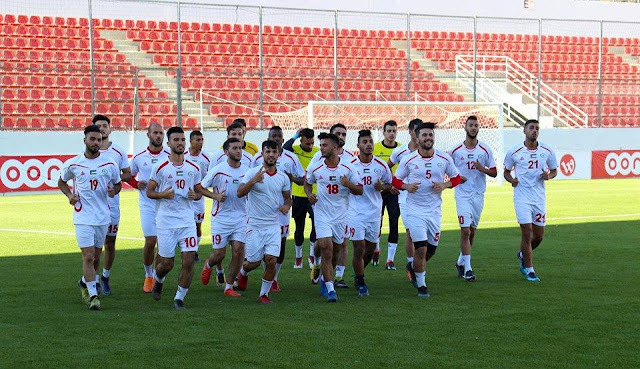 Newly called-up Haitham Khaduj (Tadamon Sour/LIB) and Mohammed Ghannam (Tripoli/LIB) couldn't get visas to the UAE and missed training camp as a result. Domestic based defenders Mohammed Al-Masri is out with a long-term injury and the man who partnered him for most of the Pan-Arab Games- Haitham Dheeb- couldn't travel due to work reasons (He's a schoolteacher). Ra'fit Eyad (who also moonlights as a schoolteacher) was due to join the side in Nepal until a car accident sidelined him for a month.To top all this off Raed Fares pulled out of the squad with injury and Ahmed Harbi will miss the first game due to yellow card accumulation. Samer Hijazi and Ahmed Salameh have been called up as replacements for Ra'fit Eyad and Raed Fares, respectively. So with this unenviable situation on his hands how does Mahmoud mask his side's potential weakness? Slightly easing Mahmoud's problems are the versatility of Hussam Abu Saleh, Murad Ismail, and Houssam Wadi. The return of Ramzi Saleh to competitive action with the national team also provides Mahmoud with an insurance policy in goal. The Palestine captain has a wealth of experience and is particularly adept at organizing defences and making key saves. Mahmoud's options are the most limited against Nepal. He most likely will not start any of the late arrivals to camp on just one day's worth of practice. So do not expect Ahmed Salameh, Murad Ismail, or Samer Hijazi in the starting XI. As a result Abu Saleh will fill in at right back with the most likely duo of Barghouthi and Mahdi with Abujazr starting his third straight game at left back. Up front, Mohammed Samara will roam across midfield and be given the task of pulling the strings. Nu'man will provide the speed, guile, and trickery in the absence of Amour, El-Khatib, and Zatara. 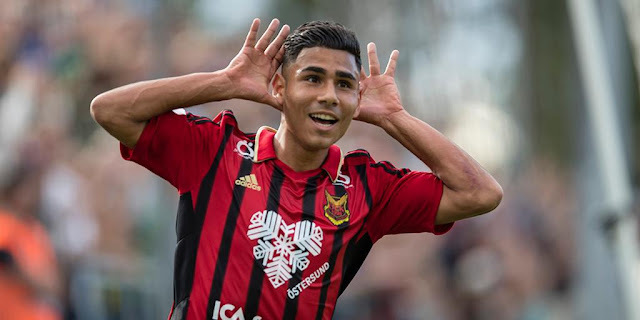 Khader Youssef has established himself under his third national team manager and is quickly closing in on 30 caps, expect him to make yet another start here. Houssam Wadi's ability to cover acres of space will make him a must start in a hostile environment. Alaa Attieh and Fahed Attal are the logical choice to start up front and showed flashes of good combination play against the UAE until the former left the pitch with an injury. Khaled Salem provides a good Plan B and could use his unique combination of power, pace, and strength to good effect. Mohammed Jamal should prove to be good foil for Ashraf Nu'man and there will be no shortage of options should Mahmoud chose to chop and change his midfield. 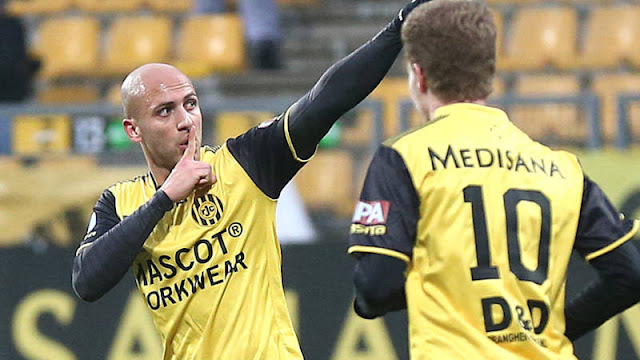 Abdelhamid Abuhabib has proven that the can change the pace of the game as a substitute. While Murad Ismail and Ma'ly Kawre' are more than proven at this level and should see time as starters in the middle of the pitch. Going forward, Mahmoud will be able to dip into his squad and will probably do so in an effort to keep the squad fresh. As for the formation there is no way Mahmoud, who has spent the past four months teaching this side how to play his style, abandons the 4-4-2. Moreover, don't expect the former Hilal Al-Quds coach to pack the midfield in order to protect his defence. Mahmoud's footballing ideology stresses a proactive approach even if it means Palestine has to win games 4-2 as opposed to 2-0.